Take command of your RobotGeek Snapper Arm with Arm Link! 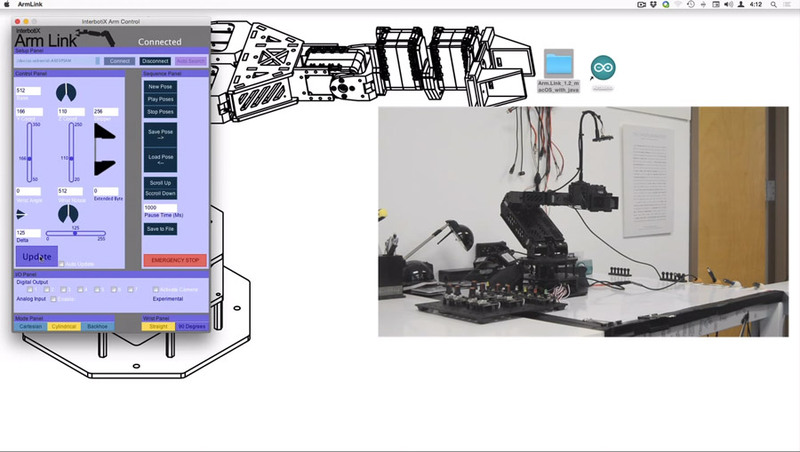 Arm Link lets you pose and play back a sequence of movements on your robot arm easily. We put out an Instructable that covers set-up and usage, so you can get your robot arm ready to entertain! and even drive a hexapod around. We’d love to see your robot arm doing some crazy things! You can find the Instructable here, or go to the RobotGeek Learning site here and here for the same instruction.